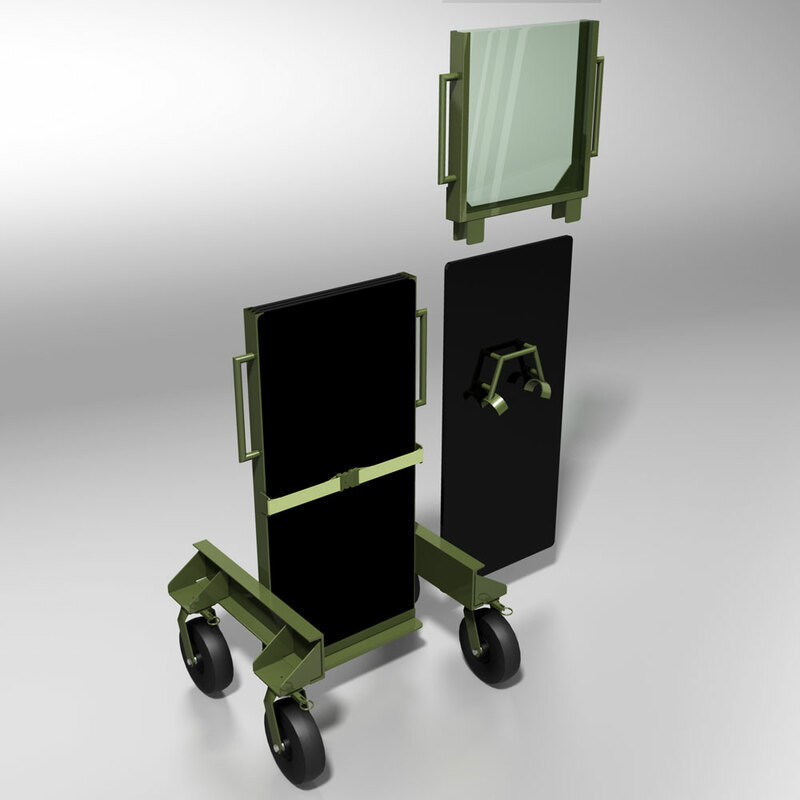 The SOB SENTRY is a mobile defense system fixed in the upright position, designed for environments where there is no need to collapse the unit for transport or storage. It can be easily maneuvered into position using one hand. It is also freestanding, so once in position it does not burden the hands of the operator. This model is available in two configurations, the SOB SENTRY Single and the SOB SENTRY Double. The Sentry Single is designed to pass straight through a standard door. The SENTRY Double is designed to pass through a standard door from end to end. The SOB SENTRY Single includes one redundant N.I.J. 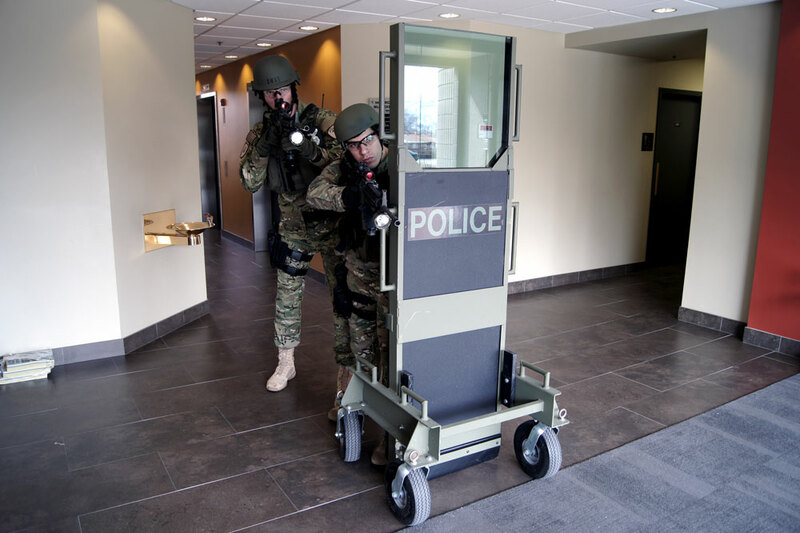 Level IIIA hand-carry shield (two in the SENTRY Double) that is stowed on the back of the unit and can be quickly deployed for independent use. Common applications for the SOB SENTRY include security checkpoints, industrial security applications, courthouses, government buildings, and for security in larger facilities where storage space is abundant. 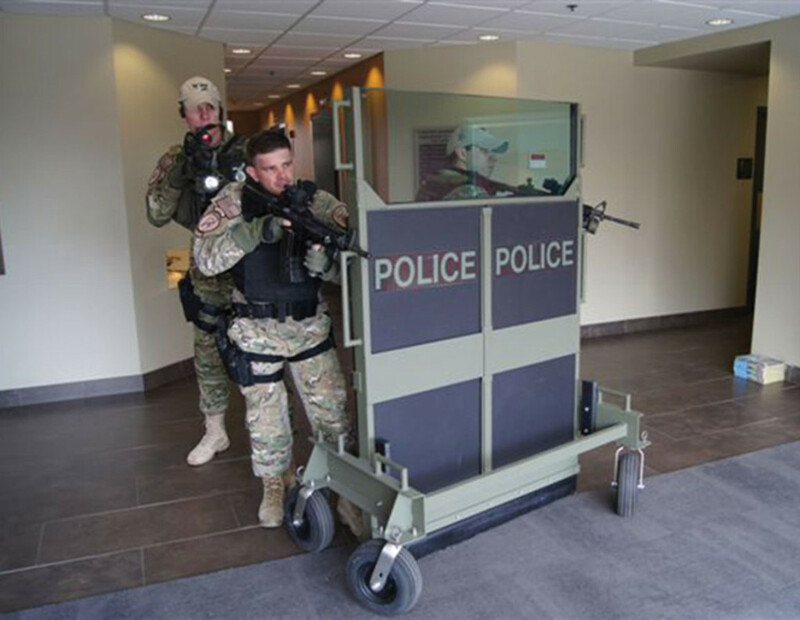 It is used for a variety of applications including barricaded gunman situations, hostage negotiation and rescue operations, VIP relocation, first response to active shooters, and rescue operations. 31.5”W. x 32”D. x 75”H. Ballistic protection: 20”W. x 75”H. 54”W. x 32”D. x 75”H. Ballistic protection: 45”W. x 75”H.